We are specialist hardware and software technology business offering a unique, disruptive and exciting way to deliver engaging sporting experiences to a wide sporting audience. More than that, Walljam is redefining the way sport can be played. Some call it disruption – we like to call it progression. We’re using advanced and proprietary technology to create addictive, interactive and outrageously fun gameplay. 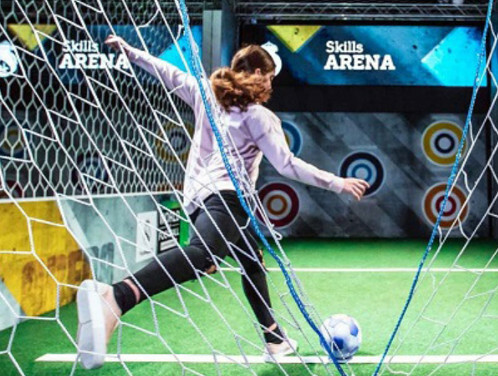 Adding a new dimension to our most loved ball games including Football, Rugby, Tennis, Cricket, American Football, Baseball, Basketball, and Australian Rules Football, Walljam enhances the traditional “wall and ball” concept to create a unique gamified experience that has players hooked. There are many routes to expanding your Walljam franchise. Walljam can bring a wide range of sports to a diverse mix of promotional/play environments. As a Walljam franchisee, your growth will come from building fruitful relationships with prospective customers in your territory to secure repeat and long-term business. We'll be on hand to support you as you go through this exciting growth stage and expand your franchise. Because Walljam has application across so many industries and sectors its potential market is vast. The events sector alone is worth £42.3 billion annually to the UK economy in terms of direct spend by event delegates, attendees and organisers (Eventbrite Pulse Report 2016). But it’s not just events. Any site with high footfall is primed for the Walljam experience. Think football clubs on matchdays and shopping centres at the weekend regional sports festivals or even the local bank holiday fete in your home town. 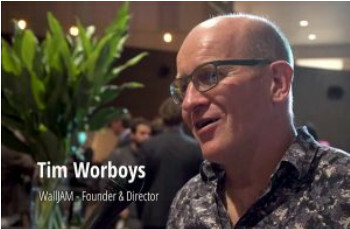 As a Walljam franchisee you’ll have the chance to establish partnerships with local businesses, sports clubs, universities, leisure centres, shopping centres, and others who will relish the chance to excite their customers, clients or fanbases with an innovative, fun and addictive experience. Whether it’s fresher’s week at a university or annual conference time for a multinational company, Walljam is an exciting and unexpected addition that will make any event or experience unforgettable. For larger clients, there are exciting opportunities for co-branding, but Walljam works as well for intimate events like birthday parties or bar mitzvah parties as it does for exhibitions with footfall of thousands. Our projections show that Walljam franchisees should recover their initial investment within 180 days of joining the network. Walljam supports each new franchise to define and set individual goals specific to their region and will be on hand to help our partners achieve those targets. We can provide you with free information from Walljam franchise!